Cataloochee Ski Area is OPEN Skiing 4 slopes with 3 lifts on a base of 16 - 34 inches, day skiing from mid station only. Season passes are at the lowest price of the season and are available online now. March is Haywood County School System Employees Month. Sugar Mountain Ski Resort is OPEN Skiing 9 slopes with 2 lifts on a base of 8 - 35 inches with 1 inch new snow. March Madness rates in effect. Spyder 2017 Sampler Sale continues. The Tubing park and Ice Skating are closed for the season. Sugar will close Wednesday, March 23rd at 4:30pm for the season. Located in Maggie Valley NC Cataloochee is North Carolina's First Ski Area, and usually the first NC Ski Area to open for the season. Catalochee offers Smoky Mountain Skiing, Riding and Tubing with 16 lighted slopes including the Cat Cage Terrain Park. 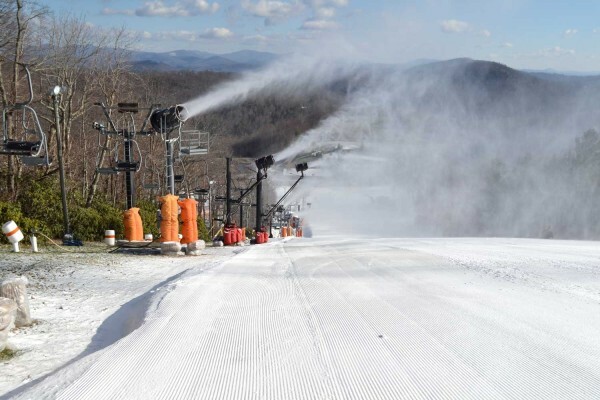 With a variety of terrain for beginners to experts alike and over 4,000 sets of snowsports equipment, the Cataloochee experience offers something for everyone. 100% snowmaking, 16 lighted slopes including 1 terrain park, 2 advanced, 5 intermediate & 6 beginner; 5 lifts including 1 triple chair lift, 1 quad chairlift, & 3 conveyor lifts; and 6 lanes of snowtubing fun! PSIA school instruction. Intro to Skiing or Riding lesson is FREE with all ski and snowboard rentals any non-holiday Monday through Thursday. Ski Beech, located on Beech Mountain NC, is Eastern America's highest ski resort at 5506 feet above sea level. With excellent skiing (day or night), and a charming Alpine Village filled with intriguing shops, tempting restaurants and more Ski Beech offers a winter wonderland of fun and activities for all members of your family or group. Alpine skiing and snowboarding will appeal to the thrill-seekers and for those looking for something a little tamer, the resort also features ice skating and snow tubing. Snow making is on 100% of the skiing terrain. To round out your fun-filled day, spend some time in one of our charming shops or tempting restaurants. 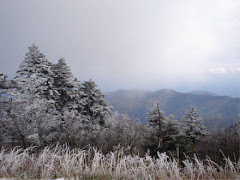 Located in the Village of Sugar Mountain on the outskirts of Banner Elk NC Sugar Mountain is the largest NC ski area with twenty slopes and trails spread over 115 skiable acres for all levels of skiing and snowboarding. There are seven lifts - including one triple, four doubles and two surface lifts. The 700 foot long tubing lanes are serviced by a Magic Carpet lift, all located on the Sugar Mountain golf course. The Resort includes a 10,000 square foot refrigerated outdoor ice skating rink and a Base Lodge with ticket sales, equipment rentals, cafeterias, lounge, sports shop. Ski and snowboard lessons are available for all ages including the Sugar Bear Ski School for ages 5-10. Wolf Ridge Ski Resort is just north of Asheville in the outskirts of Mars Hill NC. The Slopes of Wolf Ridge have over 82 acres of ski terrain with 23 Exciting Ski Slopes, 10 Green Family Runs, 3 Black Diamond and 10 Blue Runs . There are 2 Quad Lifts: 2 Double Lifts: 4 Surface Lifts . Two Ski Lodges offer ski/snow board/bibs/helmet/locker rentals, full food service, gift/sport shops and fireside dining and relaxing. Slope side cabin and vacation rentals are available. There is something for everyone from beginner to expert at this family-oriented resort. The Sapphire Valley Ski Area & Frozen Falls Tube Park is an integral part of the 5,700 acre four-season resort at Sapphire Valley NC. The Ski Area's average elevation is 3400 feet and consists of The Sapphire Streamliner", a 1600 foot main run with a vertical drop of 200 feet featuring a state-of-the-art quad lift. The Frozen Falls Tube Park, is a 500-foot multi-lane snow tube hill with a vertical drop of 70 feet. There is a rustic mountain style lodge complete with stone fireplace, 'Four Seasons Grille" Restaurant/Snack Bar, clothing shop and clothing rental.